Do you accept product ideas and suggestions? We get the best product ideas from our customers. Please email info@mabelslabels.com with yours. Why are my Tag Mates™ falling off in the laundry? Our Tag Mates™ Stick On Clothing Labels are designed to stay put and virtually outlast clothing. They must be applied to a clothing care tag (i.e., the tag with the size and washing instructions), and are not guaranteed to stick when placed directly onto the clothing fabric. After applying Tag Mates to the care tag, we recommend waiting 24 hours before laundering. Wondering how to label tagless clothing? We recommend our Iron-On Clothing Labels or our Clothing Stamp. Are Mabel's Labels products safe? Mabel’s Labels are not a toy and should be applied by an adult. All our products are made with high-quality materials containing no hazardous ingredients. Please visit our Detailed Product Safety Information and our Certification of Compliance pages for more information. Questions? Contact us at info@mabelslabels.com. Why are my Iron-On Clothing Labels falling off in the laundry? We guarantee that our Iron-On Clothing Labels will stick through thick and thin; they should fuse to the fabric and stay put. When this doesn’t happen, it’s usually because the iron wasn’t hot enough when the labels were first applied. Try re-ironing them at a higher heat setting, and don’t use steam (you may have to remove the water from your iron). If you continue to experience problems, please contact us! What is the difference between Iron-On Clothing Labels and Tag Mates™ Stick On Clothing Labels? We offer two different types of laundry-safe clothing labels: Iron-On Clothing Labels and Tag Mates™ Stick On Clothing Labels. If most of your garments have a care tag (i.e., the tag with the size and washing instructions), you will appreciate how easy our Tag Mates™ Stick On Clothing Labels are to use. They peel and stick directly to the clothing care tag and require no ironing or sewing. Please note that they cannot be used directly on fabric. For items that do not have care tags (e.g., socks, towels, tagless shirts, etc. ), we recommend our iron on clothing labels, which are designed to adhere directly to almost any iron-safe fabric, or our Clothing Stamp. Do you make waterproof labels? Yes, we do! Practically our entire line of labels is laundry and dishwasher safe (not to mention pool and lake!). There are only a few exceptions. Please see individual product pages for more information. Do you make labels for older kids and adults? Our labels are indispensable for everyone! While many of our designs are geared towards little ones, you can opt to not use an icon for a more mature look on most of our core products. Further, we offer a couple combos with exclusive styles designed for older kids and adults! View our Designer Label Pack, and Middle School Label Pack for these trendy options. Do you sell label packs specifically designed for camp and school? Our Starter Label Pack and Large Label Combo are designed to cover all your labeling needs, especially in combination with their various product add-ons. In addition, we offer limited-time combos during the camp and back-to-school seasons. Can I get all my labels in just one colour? Labels can only be produced exactly as shown/described. Be on the lookout for our seasonal combos, which offer extra design and color choices. Also, please let us know what you’d like to see! We’re always expanding our choices and would love your feedback. Can I add extra characters to my labels? Sure! We can always make room for a few more letters, but please note that this will decrease the font size on your labels. If our website is rejecting your extra characters, simply contact us immediately after placing your order to let us know what you’d like added. Please provide your order number. You may also leave an order comment at the final stage of checkout outlining your special request. We’ll respond within 24 hours to confirm your request. Can I provide my own logo or artwork for my labels? Unfortunately, we’re not able to accommodate custom jobs at this time. Can I get half of my labels in one name, and half in another? Due to the nature of our production process, we are unable to split label packs into more than one name. The text must be consistent throughout. As a potential solution, consider using your surname or phone number on your labels – that way everyone can share! Another option is our popular Birthday Party Label Pack, which can be customized with multiple names and icons, or opt for a smaller combo pack for each kiddo such as our Day Camp Label Pack. All our products are backed by a 100% satisfaction guarantee. If you’re not satisfied with any part of your order, simply return it to us for exchange or refund (return postage not included). And remember, we’re always here to help! Please contact our Customer Service team if you have any questions or concerns. I am a US customer. Why do I see two charges on my credit card? Some US credit card providers apply a nominal transaction fee to international purchases. While this charge is unrelated to Mabel’s Labels, it often appears on credit card statements as: International Transaction Fee – Mabel’s Labels. If you have questions about this fee, please contact your card provider. Help! Why can’t I add items to my cart? We accept Visa, MasterCard, American Express and PayPal online. Yes, absolutely! Call us toll-free at 1-866-306-2235 to place your order with one our helpful Customer Service reps. I am a US customer. Why was my payment declined? You may have an international block on your credit card. Although we offer checkout in USD, we are a Canadian company and transactions on our website originate from Canada. Please contact your card provider and ask them to remove the block, even if temporarily. How do I change currency? OR I am in Canada, why am I being charged in USD? My transaction will not process, I keep getting an error message stating: “Your request has failed the CVD check”. This error message warns that a typo in your credit card has been made. Please double check the 16-digit card number, expiration date and security code that was entered and retry your transaction. No funds will be held as no successful payment has been made. We’re proud to offer free standard shipping within Canada and the US! For expedited methods, please consult the chart below. *Because this is a custom product, please allow 1-2 business days for processing, in addition to the shipping estimates above. Orders with express and priority shipping always process the next business day. *Clothing Stamps are shipped separately from any label orders and are shipped directly from the supplier via FedEx, not from Mabel's Labels, to Canada and the US only. How long will it take for my labels to arrive? Clothing Stamps are shipped separately from any label orders and are shipped directly from the supplier via FedEx, not from Mabel's Labels, to Canada and the US only. To estimate a delivery date for your order, please consult the table below. Our lightning fast production team dispatches orders from our headquarters typically within 1 business day after placing the order! If the full shipping period has elapsed, please confirm the address was correct. Further, standard orders to Canada and the USA are delivered right to your mail box along with your regular daily mail. Sometimes, the order could simply be hiding within the bills! For further assistance, please reach out to info@mabelslabels.com. Who do I contact to assist me with my fundraiser? We have a team dedicated to our Fundraising Program who are always eager to help! Call us at 1-866-306-2235 (option 3) or email us at fundraising@mabelslabels.com. We can answer any questions, provide you with a commission update and provide you with promotional materials. I can’t find the fundraiser I want to support. If you’re having troubles locating a fundraiser, please make sure you’re looking for both the full name and an abbreviated version. If you still can’t find the organization you’re looking for, it could be because they aren’t currently fundraising with us. They may need to reactivate an inactive campaign; so give us a call or send us an email and we can look in to it. OR, you can submit a sign up form for the organization and get one started! Sign up here. How does someone support a fundraiser? We’ve made supporting a fundraising campaign as easy as 1-2-3! Fundraisers are encouraged to promote campaigns.mabelslabels.com with instruction to choose their organization from the list of fundraisers. Once a customer selects the organization they wish to support, 20% of their order will go towards the fundraiser. Give it a try and support a fundraiser today! 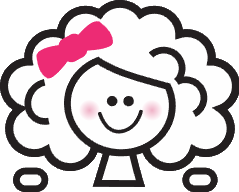 Who can fundraise with Mabel’s Labels? Pretty much anyone! Our super-easy, eco-friendly fundraising program is popular among schools, daycares, sports teams, camps and many other organizations wishing to reduce their Lost & Found and raise funds. To learn more, please visit our Fundraising Page. We look forward to having you join us! How do I change the information within my fundraiser? If you need to adjust the current info, or replace an existing contact with a new one, just give us a call toll free at 1-866-306-2235 (option 3) or email us at fundraising@mabelslabels.com and we will assist you with making sure your campaign is up to date. How can I view the sales/commissions from my fundraising campaign? At this time, we don’t have an online feature that allows fundraisers to view their sales, so please email fundraising@mabelslabels.com for an update. We can send you a list of transactions so you’ll know how much you’ve earned. What is the Mabel’s Labels Affiliate Program and how does it work? The Affiliate Program is a service that allows participating websites to earn commissions on sales referred to Mabel’s Labels using specially tracked links. We provide you with custom links and banners that you can post on your website. Then, when a visitor you’ve referred to us makes a purchase, we’ll keep track and give you a commission on the sale. We accept almost all types of websites that are relevant to our products and do not contain objectionable or offensive materials. We welcome all applications but reserve the right to refuse membership or revoke a membership at any time and for any reason at our sole discretion. There are no fees associated with the program. Please visit our Become an Affiliate page for more information or to sign up!